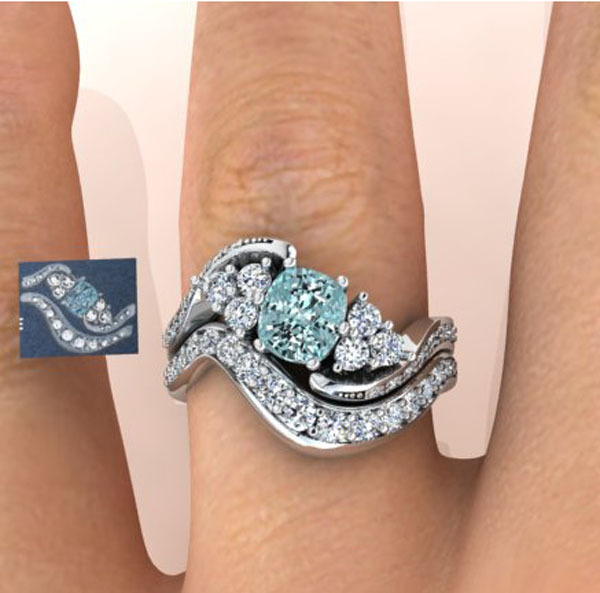 Blue diamond engagement and wedding ring set. This year we were able to complete this commission; producing the matching and fitting, platinum wedding ring. This platinum and diamond suite of matching rings looked very dynamic combined.